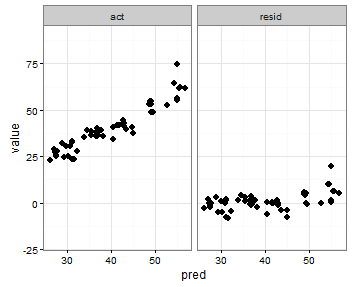 The x/y range/limits for pred vs. resid not to be affected by what I do to the actual vs. predicted plot. 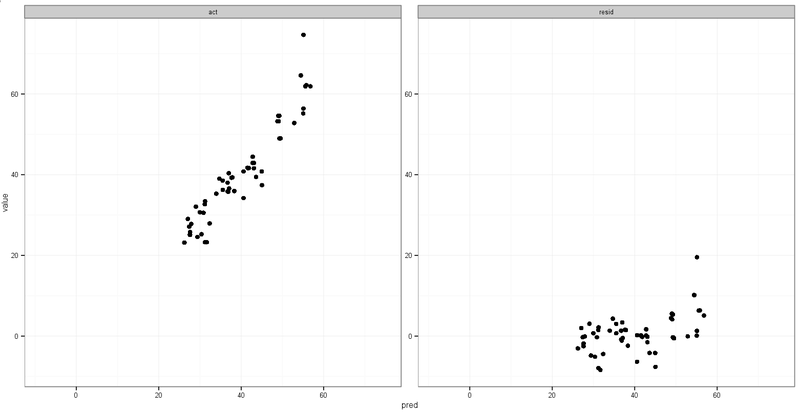 Plotting for x over only the predicted values and y over only the residual range is fine. 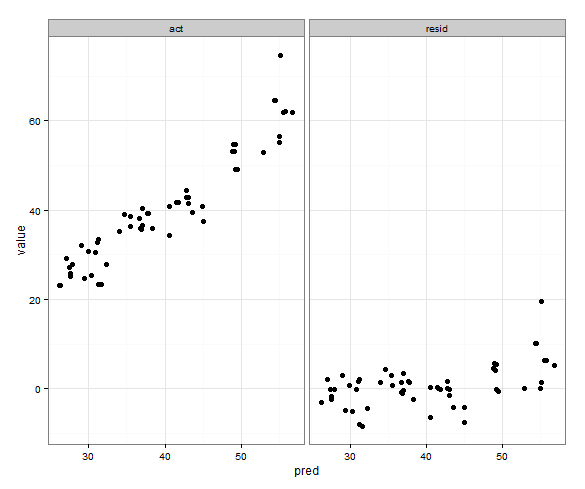 What I'd like is for the x and y ranges for actual vs. predicted to be the same, but I'm not sure how to specify that, and I don't need that done for the predicted vs. residual plot since the ranges are completely different. 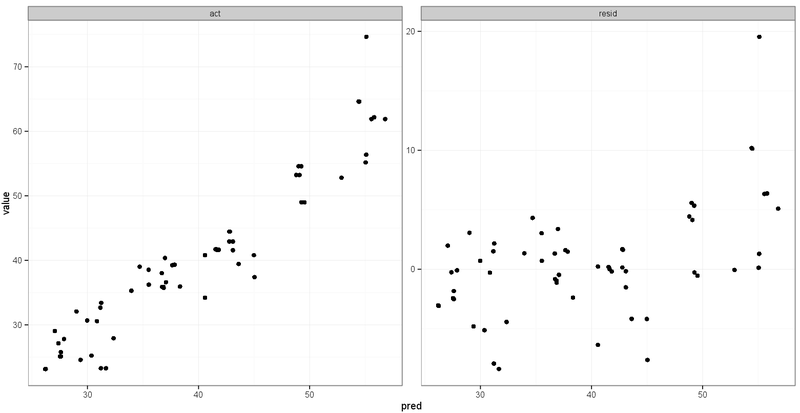 But that picks up the min() of the residual values. Any suggestions for doing something like this? I saw this idea to add geom_blank(), but I'm not sure how to specify the aes() bit and have it work properly, or what the geom_point() equivalent is to the histogram use of aes(y = max(..count..)). the x scale seems to be the same, it is the y scale that is not the same, and that is because you specified scales ="free"
Not the answer you're looking for? 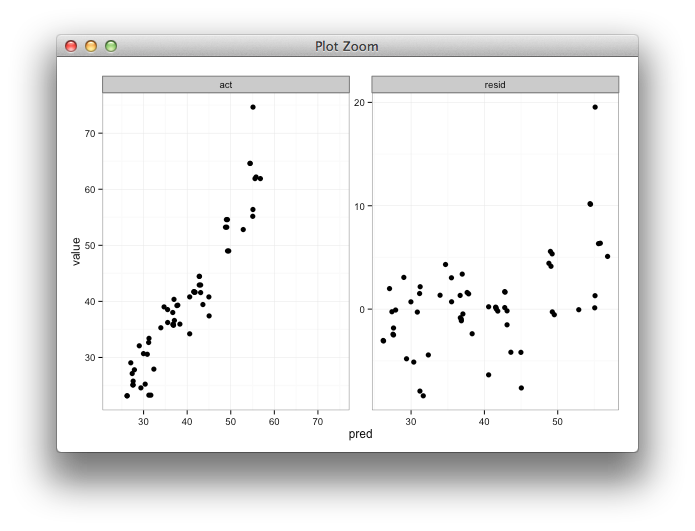 Browse other questions tagged r ggplot2 facet or ask your own question. 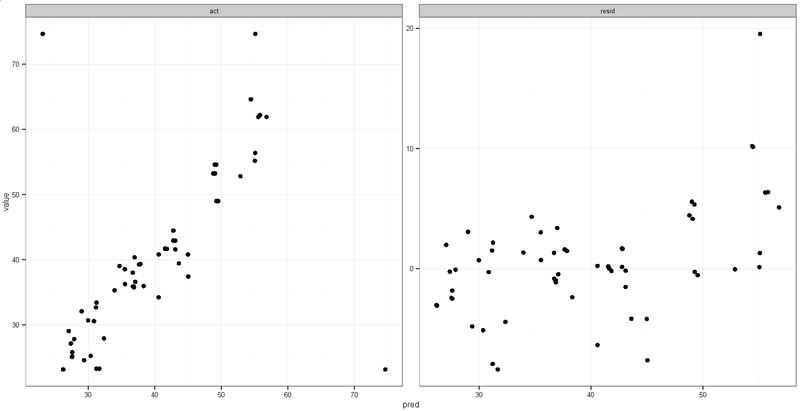 How to change y-axis range when plotting multiple plots at once in R? how to set limits on rounded facet wrap y axis? How to use scale from previous plot in current plot with ggplot2? How to fit this function with ggplot? How to use Infinity limits with a transformed scale?